ECHO Asia, a regional extension arm of ECHO, exists to equip and empower workers in agriculture and community development so that they can be more effective in their work with smallholder farmers and the poor in Asia to improve food security and livelihoods. We do this by providing free resources, information, training, and seeds to our network members residing in Asia. 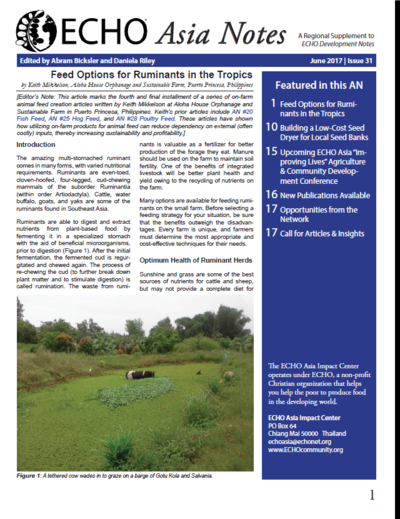 Sharing of new ideas & information- we desire to “ECHO” and promote good agricultural practices happening in Asia! Hosting Agriculture and Community Development events- we routinely host regional and country-wide workshops with organizational partners in order to offer context-relevant information in local languages. Cultivating seeds and sharing seed banking techniques! We currently produce a catalog of nearly 175 seeds from the Chiang Mai Thailand Seed Bank- a continuously expanding seed inventory is available and for sale on ECHOcommunity.org. Our members qualify for 10 free seed packets per year! Partnering with our network to print expanded resources for sale and in our resource library. We have nearly 60 books available at cost at the office and a resource library of nearly 850! Offering technical responses to field questions from network. Providing on-site consultations for organizations and individuals. Volunteer Opportunities & Internships are available to our network and those that wish to learn more about sustainable agriculture, seed banking, research and living cross-culturally. We are pleased to say we have nearly completed our move from the previous location in Mae Ai. 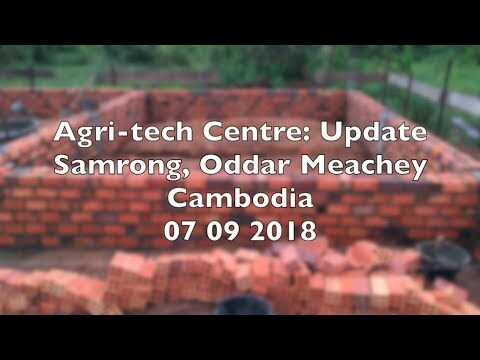 Although there is much we still want to do in developing this new site, we are happy to welcome visitors to our new Small Farm Resource Center & Seed Bank! 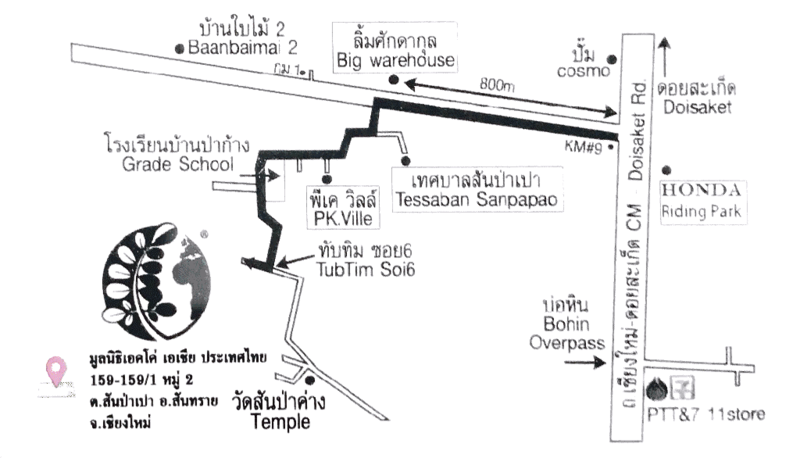 If you are interested in taking a tour, please contact us by email (echoasia@echonet.org). At this time, we are NOT open on the weekends, but would be pleased to offer a tour during weekday business hours. This map below can guide local drivers to our new location. You can also CLICK HERE to be directed to the Google Maps link. More than 600 million Asians live in absolute poverty (less than $1 a day) and 2/3 of the world’s hungry people live in Asia. Although Asia's share of the global gross domestic product is expected to approach 42 percent by 2015, the region will still be home to half of the world's poor. Growth in rice production, Asia's staple, has slowed and rice production areas are in decline. Growing resource scarcity (i.e., water and arable land) will increasingly constrain food production growth. Asian leaders issue poverty warning, International Herald Tribune, May 4, 2008; Reducing Poverty and Hunger in Asia: The Role of Agriculture and Rural Development, Edited by Nurul Islam, International Food Policy Research Institute, 2008. World Hunger Statistics, World Food Programme. 2014. 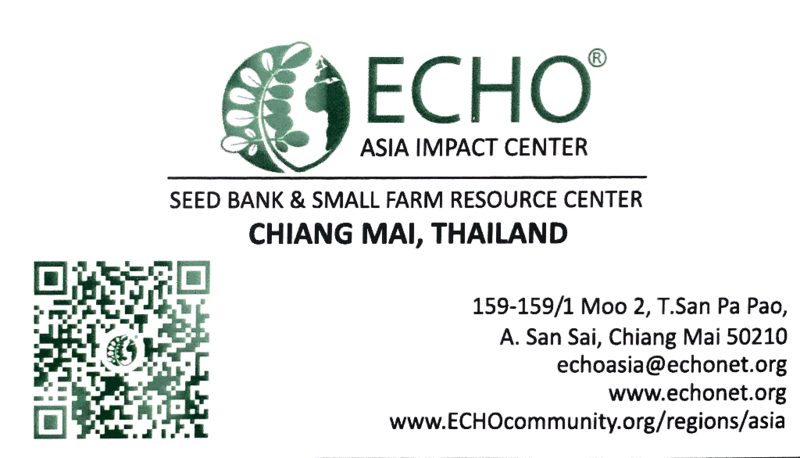 The ECHO Asia Small Farm Resource Center and Seed Bank is only 25 minutes outside of Chiang Mai! Please contact us at echoasia@echonet.org to schedule a tour!